Doug Henry, The Assay Office, Birmingham. 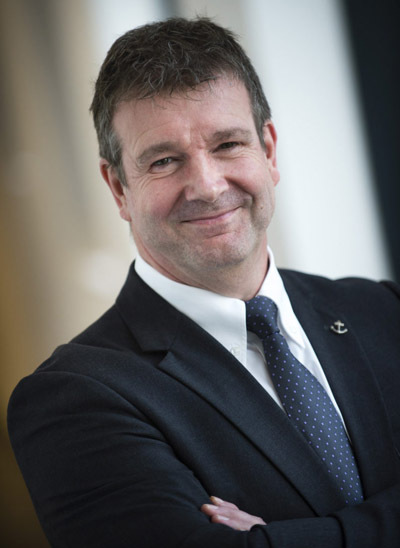 The AnchorCert Group, comprising Assay Office Birmingham, AnchorCert Analytical, AnchorCert Gem Lab, SafeGuard Valuations and AnchorCert Academy, has announced the appointment of Doug Henry MBA as incoming Chief Executive and Assay Master. Doug, who is currently joint CEO, will commence his new appointment as the company’s 14th Assay Master on Monday 3 April 2017, having originally joined AnchorCert Group to restructure the quality management system in September 2014. Doug then successfully project-managed the business relocation to Moreton Street in July 2015. Doug has subsequently led the management of the Indian off-shore sub-office, and continues to support the development of quality management processes and bespoke management systems. Doug has spent more than 20 years as MD of specialist manufacturing engineering companies across the Food, Chemical, Fine Chemical and Petrochemical industries on a global basis. He has a strong commercial focus and track record, having also established and managed sales and service operations throughout Europe and North America. A strong driver of change, Doug has project-managed several multi-million pound contracts in the UK, South America, Europe and the Middle East. Stella Layton, the outgoing CEO will retain close links with both the Jewellery trade, and specifically with the AnchorCert Group, as she resumes the role of Guardian. Stella intends to utilise her considerable project management and manufacturing experience and knowledge, by providing independent consultancy to the trade and beyond.